Just the name of this post might conjure up thoughts of a movie title. A story on the big screen about a bloody murder mystery or an undercover super secret agent that might include an array of blockbuster stars such as Tom Cruise, Matt Damon or Daniel Craig. Sorry to disappoint, but I would not be talking about Mission Impossible, the Bourne Identity or even the elusive James Bond. Yet, as this story unfolds it does take on its own nature of espionage or it could be thought of as a tale of reconnaissance as you will see. Have you ever been stuck somewhere? Trapped like a caged animal? Confined within the four walls of a nightmare? What if I tell you that it involves an Airport. Oh I get it, I get it(snap finger and point); it’s that Tom Hanks movie about the guy who arrives at JFK only to find out that he isn’t allowed into the United States. That while en route his country is no longer looked upon as a sovereign nation and he’s denied entrance into the country and forced to live in the airport, schlepping his luggage and a can of Planters peanuts around from gate to gate. Okay, that’s close—but not quite it. 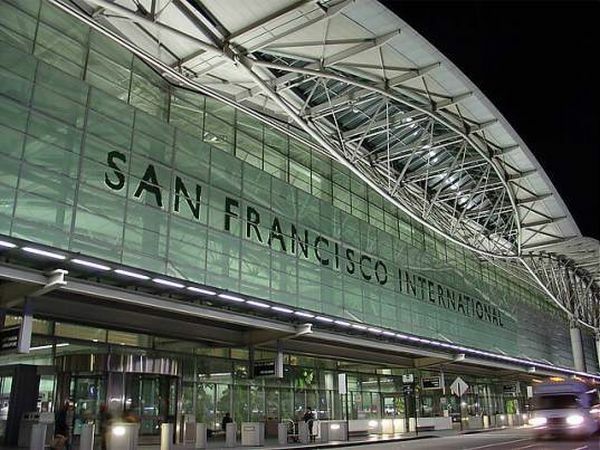 What if I told you that someone was stuck in the San Francisco International Airport for eight days? Eight days spent at an airport in limbo, filled with nothing but fear and humiliation. This is no Spielberg movie folks, this actually happened. A woman named Terri Weissinger arrived at the ticket counter to check in her baggage with only thirty dollars to her name. She was on her way to start a new life in Idaho, only to find herself stuck in San Francisco with sticker shock instead. It had been five years since Ms. Weissinger had stepped into an airport. In fact it had been so long since she had flown anywhere that when she checked in with her baggage, there was an assess fee of $60 for her additional piece of luggage. She was thirty dollars short and it was all the money she had in the world. It was as if a minefield had just opened up in front of her. Now what would she do? First, she offered to pay the fee when she arrived at her destination in Idaho, but the agent had flatly refused. Then she offered to leave one of her bags there at the San Francisco Airport to be sent to her later but that would’ve been a violation of airport security regulations. So she got on the phone. She made several attempts to call all her friends but to no avail. By the time she had finished, she had missed her flight. And that’s when this story turns into a movie-like drama. It was the “The Terminal” and she had become the new Viktor Navorski, although she looked nothing like Tom Hanks. You see, in order for Ms. Weissinger to be put on a new flight, she was required to pay for not only the baggage fee but also the $150 exchange fee. By this time it was late and with no where to stay she spent the night at the airport. When she awoke she learned of more bad news. Since she couldn’t afford the exchange fee, U.S. Airlines told her she would have to book a new flight. She almost croaked when she heard the cost: nearly $1,000. Over the next week Ms. Weissinger did nothing but meander up and down the San Francisco airport staking out the terminal seeking obscurity, while at night she slept hidden away in a small space she had discovered underneath a nearby stairway. At one point she was treated for anxiety at the airport medical clinic and when she sought out the police for assistance they almost charged her with vagrancy charges. This ordeal continued for eight straight days until a nearby church gave her the $210 necessary to restore her original flight and only then did U.S. Airlines apologize for this terrible mishap, thus giving this story a happy ending. So what do you think? Granted, this story does give new meaning to being stuck at the airport. But have you ever felt stuck in your life? Was there ever a time when you thought you couldn’t move ahead, that you were going nowhere, stuck at a dead end? How were you able to move forward with renewed zeal for a positive future? If you enjoyed this post, you may follow by email for future posts. This entry was posted in Blog Post and tagged Baggage Fees, Karen McFarland, San Francisco International Airport, The Terminal, Tom Hanks on December 6, 2011 by Karen. That’s a horrifying story. I can’t even imagine being in such situation. Fortunately enough, I’ve never been seriously stuck anywhere and hope to keep it that way. So glad to hear that Ms. Weissinger finally got some help from a local church. And I don’t blame her for not wishing to fly ever again. I was stuck for almost 24 hours once and that was long enough!! Oh Susie, I bet that was crazy. And to think that this woman was stuck for twenty-four times eight! How many hours is that? 182 hours! Yikes! Oh, how horrible for that poor woman! 8 days! Thank you for getting her story out there. That’s unbelievable. So scary that it’s true. Shame on US Airlines. Thank goodness the church stepped in and came to the rescue. That poor woman. God bless her. No, I can’t say I’m shocked. It makes me sad nonetheless. Fantastic post! I cry in my sleep when I’m stuck (melodramatic, but true ;)). And rather than greet the day with giddy energy I wake like Eeyore. Writing helps me sort things out every time… Words, music or both. Poor woman. Shame on US Airlines–it looks like they only took action to avoid further PR problems, not to solve a customer’s problem. Kudos to the church who helped her. How do you unearth such stories, Karen? I’m amazed. Fabio Bueno recently posted..What’s Your Real-life Superpower? What a nightmare! But it must also be a nightmare to not have access to additional cash through some sort of bank account or credit card when you are traveling. U.S. Airlines should be ashamed of themselves for not helping find an alternate solution. Thank you Patricia! Ashamed is a good word for how they should feel! But I think that actually they were shamed into their actions in the end. Just a horrible story. Oh my goodness, I can’t believe they held her hostage like that. I have never ever been in dire straights and hope I never am, but I am thankful I am married to a man who believes in opening his pocketbook to people in need. I’m glad the church was there to help her out. We all need these good souls in our life. What’s really sad is if I’d been there and she had asked me for money, I wouldn’t have believed her. The story is surreal! If she could have convinced me I’d have paid her baggage fee for her. I can’t even imagine the panic, anger, humiliation…poor thing! What a horrible thing to happen to that poor woman. I can’t imagine being stranded anywhere with no money. You ever wonder why these airlines are always going out of business or needing some sort of bailing out? Bad Karma. Bad business practices. Interesting to read about a real Tom Hanks character. What a story Karen! I don’t know why I’m surprised but I am–how is that it took 8 days for compassion for a fellow human being to kick in? Crazy. I imagine moving forward from that would take a lot of focusing on the positive ie the church that helped her and then paying it forward. Hi Coleen! I like your idea of paying it forward. That absolutely would be a great way to focus on the positive! Eight days in an airport? I don’t have any idea how she did it. Yes, it was crazy.